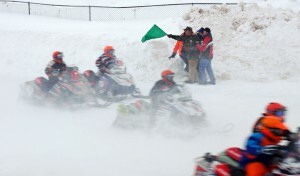 Join thousands of drivers, sled heads, and snowmobile enthusiasts for the professional racing excitement of the 52nd annual International 500 Snowmobile Race on Saturday, February 1, 2020! Known as the GRAND DADDY of snowmobile endurance racing, the I-500 is the world’s longest, fastest, toughest, and most-exciting oval race event. Professional athletes from all over the U.S. and Canada ride the monster mile in hopes of winning this prestigious race, and adding their names to the history books of snowmobile racing. Every year, the I-500’s main event is always held on the first Saturday of every February starting promptly at 10:00a.m. However, all the excitement of the I-500 starts a week prior to the main event beginning on Sunday, January 26, 2020. The I-500 Snowmobile Race hosts time trails, mid-week racing events, and fun activities for the whole family throughout Michigan’s oldest and most beautiful city, Sault Ste. Marie! 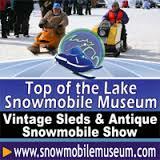 Vintage Snowmobile Show: Check out classic blasts from races past at the I-500’s 18th Annual Top of the Lake Snowmobile Museum Vintage Snowmobile Show! These mechanical marvels are presented and managed by the Top of the Lakes Snowmobile Museum of Naubinway, MI, and open for viewing to the public! Get an up close and personal glimpse at how the legends of snow sports used to ride starting February 1, 2020.